Daisey came to show me the extra work she chose to do at home, to help her with her Maths skills. 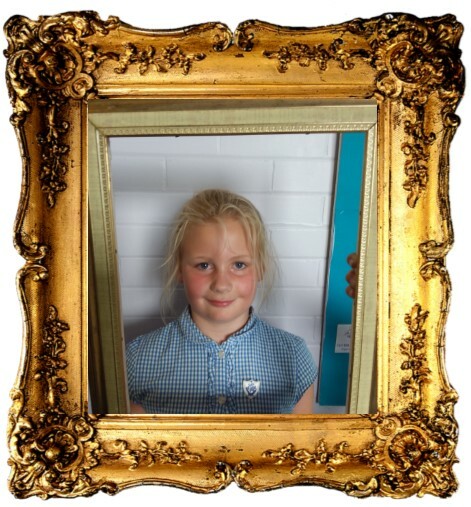 It was really impressive and Mr Haslam commented that it certainly has improved her understanding. Kai came to tell me about his amazing maths work. His teacher was so proud of how well he achieved in his recent tests, showing a huge improvement in his confidence. Well done Kai! 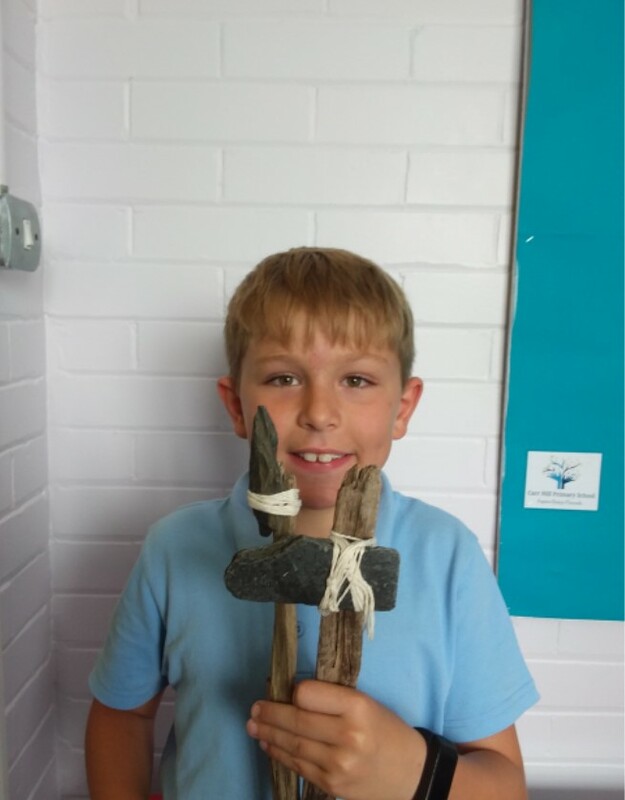 Archie came to show me his ’Stoneage’ tools that he made at home. Well done Archie. Evie came to show me what a determined person she is. She earned herself a Blue peter badge for writing a report. She also brought her gymnastics certificate to show me. Both examples show her perseverance. Well done!